Our existing contract cleaning clients are more than aware of the quality of our cleaning work. Our reputation is also strong due to our decades of providing South Coast based businesses with superior cleaning quality. We have recently added a new floor cleaning and restoration job to our portfolio section (use the button below to see the full details). However, we also felt it was newsworthy enough to mention it here on our blog as well. 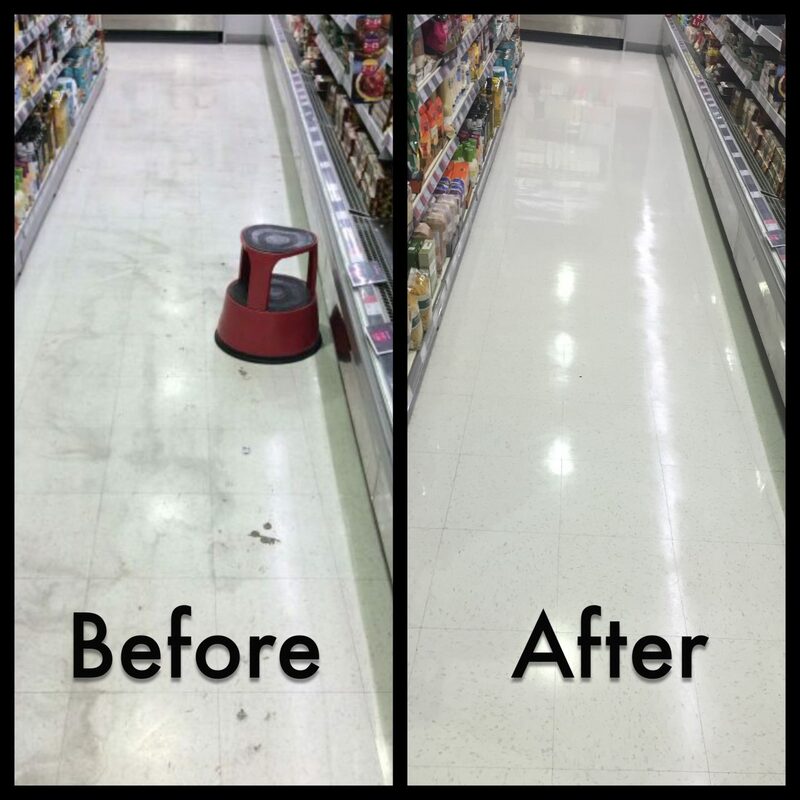 This particular job involved us cleaning and restoring a retail units floor IMMEDIATELY AFTER another company had supposedly completed the work themselves! As you can see from the image here, the floor wasn’t just left unclean, the other company had failed to follow the correct cleaning procedure for the floor tiles that were laid. This left the floor looking in a very poor state! Cheap cleaning contractors are usually cheap for a reason. They may use inferior cleaning products, have operators not trained and experienced for your particular job or in this case a mixture of both! Your site is impressive as are your range of cleaning services. It was great that I was able to call and have my call answered within 3 rings! Thank you so much for your professionalism – a refreshing change in today’s world. Floor cleaning in the retail sector is one of the most important factors as an impression is a big factor in this industry. Floor tile cleaning, as well as floor polishing, is desirable, but many of the professionals missed them.